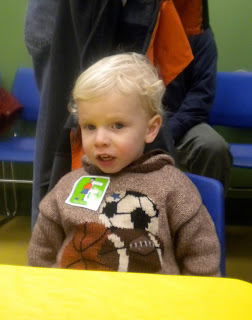 Last weekend we went to Columbia, SC to celebrate Will's 1st Birthday. We had a lot of fun and enjoyed spending time with family that we don't get to see very often. 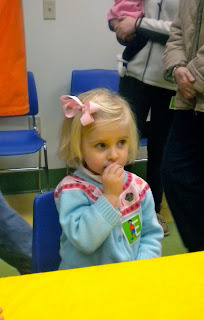 The birthday party was at the Edventure Kids' Museum in Columbia. After eating some yummy cake, the kids got to play and play. Caroline and Tuck loved the grocery store as well as the real fire truck! I've got lots of pictures to post!